Yesterday I finished the Capital Ring, the smaller orbital walk around London which runs from Woolwich to Falconwood, Falconwood to Grove Park, Crystal Palace to Streatham and Tooting and Wimbledon; Ealing, Harrow, Highgate and I can't remember where else off the top of my head. I had walked some of it before - the Streatham to Crystal Palace stretch in particular as that's quite near me and very familiar. I used to go up Streatham Common - literally up as it's a substantial hill - 15 years ago when I was living in a bedsit with an art student and two dogs. It's a popular place for flying kites, exercising dogs, or just peering North and seeing if you can make out the buildings of Central London on the horizon. You turn your back on London and go over the hill and through a public garden called the Rookery to get to Crystal Palace though, and that whole part of the walk is dominated by the tower. It's almost like walking towards the centre of a sundial, or perhaps more like walking round and round it, because for a long time it doesn't seem to get any closer. 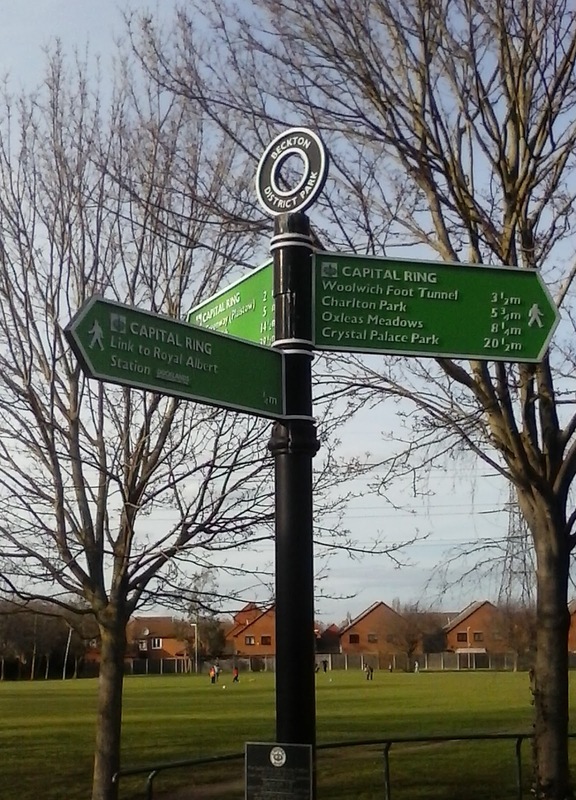 That, more than anything else, was the thing I had to get used to with the Capital Ring - it's plotted out to take the walker through as much green space as possible, which is very pleasant but which occasionally means it goes sideways or even slightly back on itself. A very different feel from the two canals I've walked, which were clearly built to go as quickly as possible from AtoB. So up until September I had been wandering the odd section of the circuit, often getting a bit lost because the signposts aren't always 100% and sometimes there are diversions, but in autumn last year my aunt joined me and being of a more literal/organised (take your pick) turn of mind, she decided to start at the beginning - which is Woolwich - and do it in order. According to my notes - by which I mean the blog post I drafted and never posted at the time - I left a bit early and got off the tube at Clapham Common to get some coffee and breakfast and had a quick wander around the market before going on to King George V DLR station. 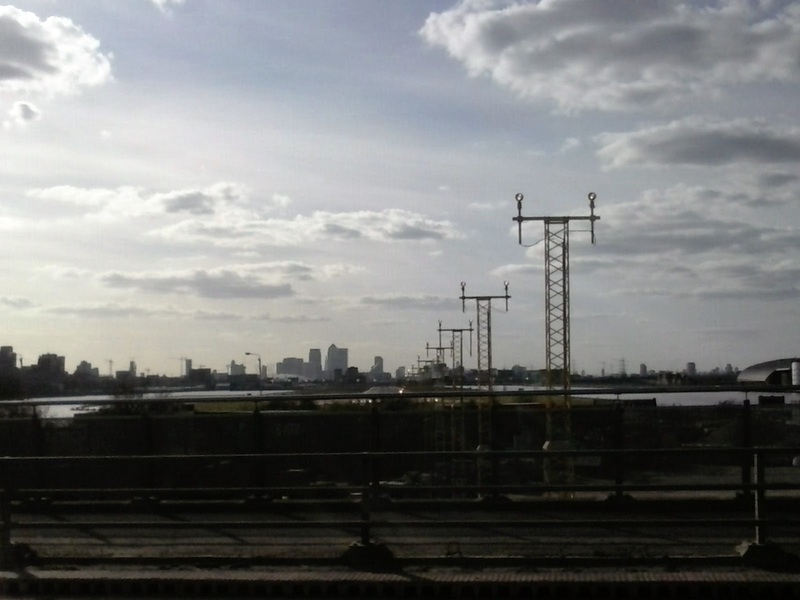 If you look at a map of the Thames you'll see this station sits on what amounts to an island, the Thames to the south of it and huge dockyard cut out to the north. I walked the width of this small peninsula - one street length really - and into Victoria Park. There is a change to the feel of London this side of Tower Bridge, there are more places you can get close to the Thames and fewer coffee shops. More people living here and fewer tourists. I didn't take the ferry and yesterday, despite meaning to, I couldn't because it was closed. So that still remains something I mean to do. Woolwich can be bleak but on a nice day, which both the start and end of my walk were, the large plaza in the middle becomes busy with skateboarders and shoppers sitting chatting on the deep steps and stone benches. The coffee place puts tables outside and there are food stalls. In the summer there are shallow fountains that appear designed for children to paddle in. What was really amazing yesterday though was the bridge over Gallion's Point Marina, where the landing lights for the airport start one side of the bridge and the runway is actually the other. I didn't manage to get a decent shot of a plane coming into land - I don't know why, there were three while I stood there and enjoyed the view - but here's the landing lights and runway towards the City. And that completes our walk. Next is the London Loop, which is further out. 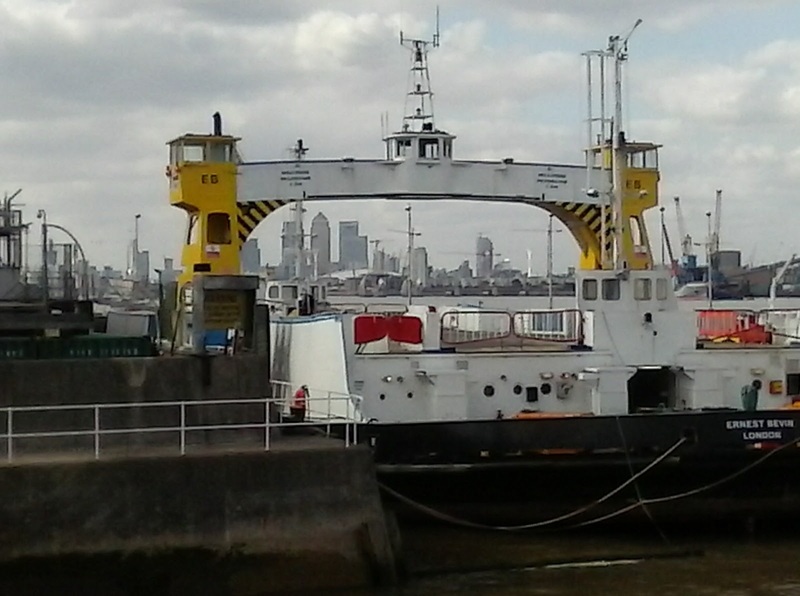 Erith to.. Erith again. Via Ewell, Enfield, Upminster and who knows where else.